Families were moved from their homes in the early hours after a fire broke out in a popular residential estate. Police received a report of a house fire in the Glenkyle Drive area of Newtownabbey around 4.15am today. 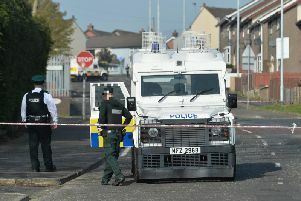 Sergeant Steven McAleese said PSNI officers arrived at the scene and "provided assistance to our colleagues in the Northern Ireland Fire and Rescue Service". He added: "Some residents were moved from nearby houses for a time and road closures were put in place while NIFRS worked to extinguish the blaze. “A number of properties in the area were affected.